File photo of electric vehicle charging stations. 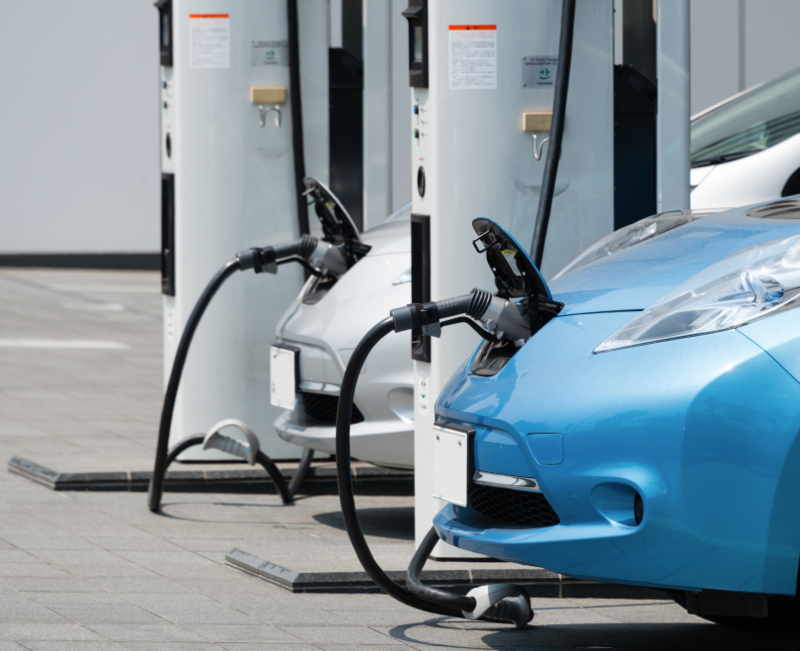 The ACT Government launched West Belconnen’s first electric vehicle charging station this week and is expecting to see the use of electric vehicles take off in the Territory in coming months. The charging station in the new suburb of Strathnairn is the 12th ActewAGL station in the ACT and the first of several planned for the Ginninderry development. 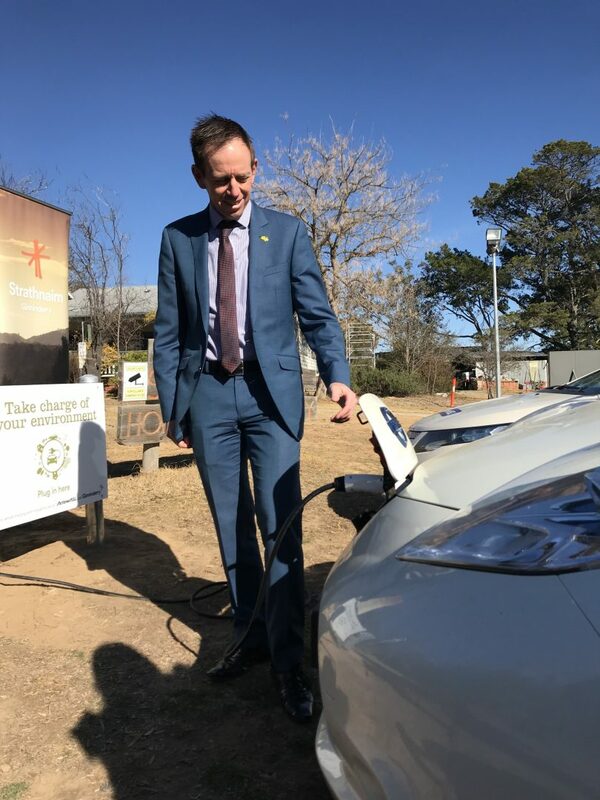 In launching the charging station, ACT Minister for Climate Change and Sustainability, Shane Rattenbury, said there are nearly 300 electric vehicles currently registered in the ACT and he is expecting to see that number increase partly due to the growing number of charging stations. “It’s making it easier for people to have electric vehicles,” Mr Rattenbury said. “Having more charging stations really helps give people the confidence that if their battery gets low they’ll be able to juice it up somewhere and keep going on their journey. Minister Shane Rattenbury charging an electric car at the launch of the new West Belconnen charging station. Photo: Supplied. Mr Rattenbury said the launch of the Ginninderry charging station was an important step in the Government’s ongoing commitment to the ACT’s Transition to Zero Emissions Vehicle Action Plan which was launched in April this year. Under the action plan, all new multi-unit and mixed-use developments in the ACT will be required to install vehicle charge points and all newly leased Government vehicles will be emissions free from 2020-21. The plan also involves working with local and state governments on the installation of charging stations on major routes to and from Canberra, including those to Sydney and coastal areas. In addition, from late this year zero-emissions vehicles will be permitted to drive in transit lanes until 2023. “The charging station at Strathnairn will be the first ‘fast charger’ installed for West Belconnen and the first of several public charging stations planned for the Ginninderry area,” Mr Rattenbury said. “There are now 12 ActewAGL charging stations in the ACT from Belconnen all the way to Greenway in the south of Canberra. “This network includes three rapids chargers and nine fast chargers that are all publically available and accessible for all electric vehicle makes and models. Mr Rattenbury said that electric vehicles cause less air and noise pollution, have lower running costs and don’t incur any stamp duty. “They also receive a 20 per cent discount on registration fees,” he said. Does anyone know what has happened to this project? Then 10 years ago it was one of the government’s associates throwing millions at A Better Place, the ill-fated electric car network. There should be a law preventing politicians from spending ratepayers money on pet projects.